Do Squire and Kelly have enough patience and faith to make their second chance possible? After his deployment, injured and discharged Major Squire Ackerman returns to Three Rivers Ranch, anxious to prove himself capable of running the cattle operation so his parents can retire. Things would be easier if the ranch wasn’t missing 1.6 million dollars, which forces Squire to hire Kelly, the girl who rejected his high school prom invitation, as his accountant. She’s back in town with her four-year-old son, living in her parent’s basement until she can get her life back together. With fresh ink on her divorce papers and open gashes on her heart, she’s not ready for much beyond her new job on the ranch. Squire wants to forgive Kelly for ignoring him a decade ago. 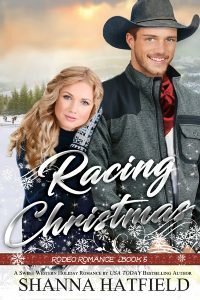 He’d like to provide the stable life she needs, but with old wounds opening and a ranch on the brink of financial collapse, it will take patience and faith to make their second chance possible.